VERO BEACH – Looking to celebrate Valentine’s Day with someone special? The Humane Society of Vero Beach and Indian River County (HSVB) is hosting its second “Smooch-A-Pooch” adoption event and dog kissing booth. 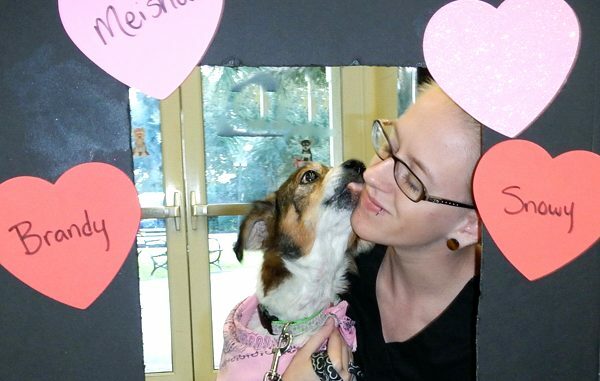 The Smooch-A-Pooch event will be held on Wednesday, February 14 from 11 a.m.-3:00 p.m. Adoption fees will be waived for most dogs on this day and adopters will receive a complimentary one month supply of heartworm preventative. To share the love with our feline friends, cat adoption fees are waived throughout the month of February for most of the shelter’s cats. Punch and cookies will be served to guests throughout the day. Guests can also get smooched by a shelter pooch. The Humane Society is a nonprofit organization dedicated to helping and protecting animals and is located at 6230 77th St., Vero Beach. For more information call (772) 388-3331 ext. 110 or visit hsvb.org.